Yesterday, I received a new issue of Intentions (No. 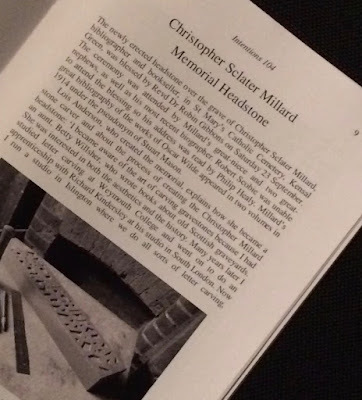 104) containing an account of that contains a reportage of the installation and blessing (for what it's worth) of a headstone on the grave of Oscar Wilde's bibliographer, Christopher Sclater Millard (see blog No 163 for a review of a biography of Millard also known as Stuart Mason). Millard's bibliography needs to be newly edited for it is - even a century later - an important document of Wilde's publishing endeavours. 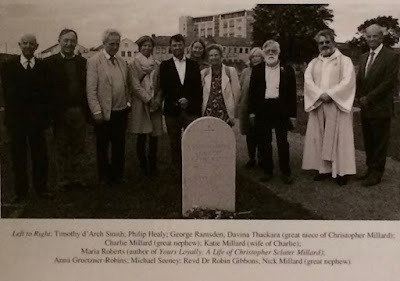 The stone was erected in St Mary's Catholic Cemetery, Kensal Green, London, and designed by Lois Anderson who runs a letter-carving workshop in London. Details can be found in the new issue of Intentions, published by The Oscar Wilde Society. 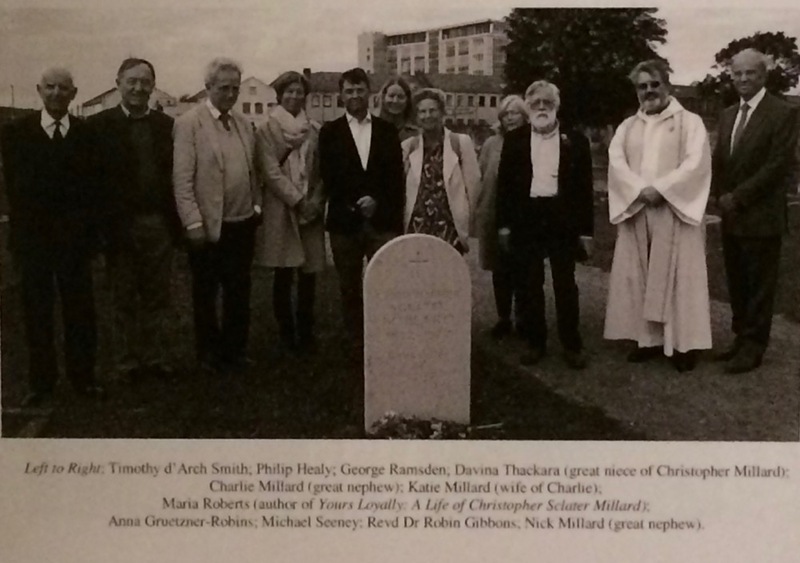 The celebration on 23 September was witnessed by representatives of the society, the family, and others, such as Timothy d'Arch Smith.